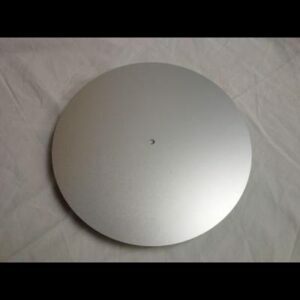 This 4″ cake plate measures 3¾” in diameter. 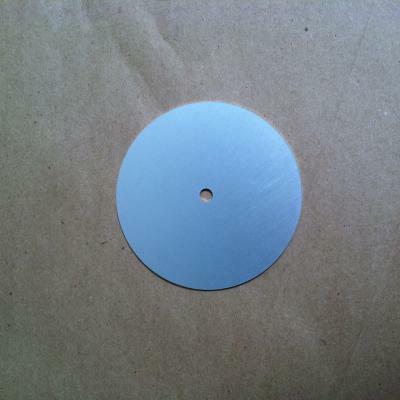 Can be used with a standard threaded rod or comes with its own nut to secure it. Can be used for a small cake, cake topper, giant cupcake, figurine, etc. The 4 inch plate does not come with a cake board at this time. 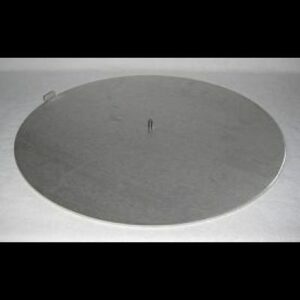 This 4″ round cake plate is a great addition to your Cake Stackers set. Combine this plate with our sturdy base plates, support plates and stainless steel center posts to create your own cake masterpieces. Create a myriad of designs by mixing and matching hardware and plates. Build straight tiered, spiral, offset and staggered cake designs.